Free (or partially free) lunch improves company culture. When offered employer-sponsored lunches, more people stay at the office for lunch instead of going outside. In comes this fantastic shared experience, helping to form stronger connections between employees. 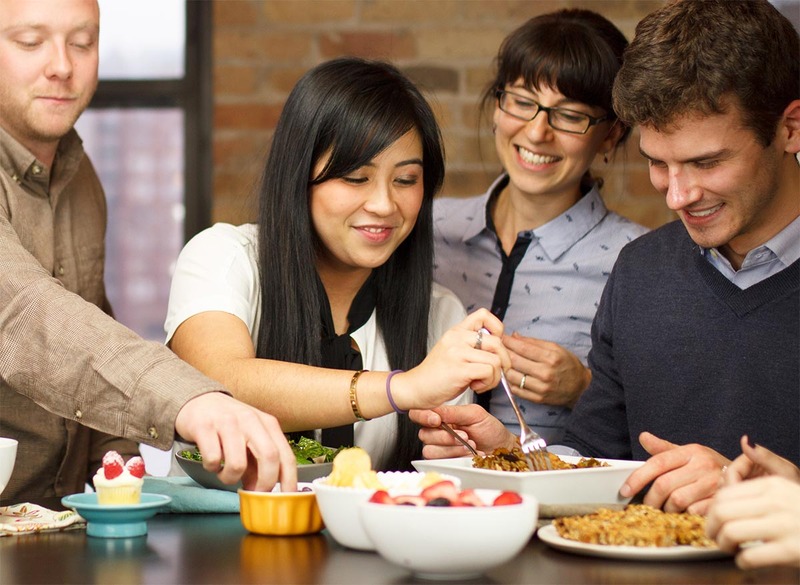 Eating together is a time-tested way to build stronger relationships among employees. Sharing in the lunchtime experience becomes a ritual that people look forward to. Teams that eat together, like each other more and end up working together more effectively. Subsidies as low as $3 per meal have increased participation rates by 33% or more. Subsidizing lunch attracts and retains top talent. employees notice and appreciate the gesture. It shows a personal investment to make sure that they’re happy and have everything they need to do a good job. Companies that provide free food have happy employees, with 67% responding that they are “extremely” or “very” happy with their current job. 67% of employees are “extremely” or “very” happy with their current job if given free food. Investing in lunch directly impacts productivity. Employees are more productive because they don’t have to leave the office, saving between 30-60 minutes each day that lunch is offered. Getting this productivity back in exchange for providing lunch is an investment worth making.